The Pacific Community Director-General, Dr Colin Tukuitonga, is in Cook Islands this week to meet with Prime Minister, the Hon. Henry Puna, and other officials to discuss development progress and key challenges in the Pacific Island nation. During his two-day official visit, Dr Tukuitonga will brief the Prime Minister and his cabinet on the upcoming Pacific Community (SPC) governing body meeting: the 46th annual meeting of the Committee of Representatives of Governments and Administrations (CRGA), which will be held in Noumea, New Caledonia, from 28-30 June. Also high on the agenda are discussions with Cook Islands Minister for Health, the Hon. Nandi Glassie, in regards to the 2017 SPC and WHO organised Ministers of Health meeting as well as Cooks Islands’ participation in a Pacific Non-Communicable Diseases (NCD) Summit SPC and the Kingdom of Tonga are planning to hold in Tonga in June. “Cook Islands is a valued member of the Pacific Community family and this visit is an opportunity to strengthen our relationship and see how SPC can best support Cook Islands in achieving the Sustainable Development Goals set out in the 2030 development agenda,” Dr Tukuitonga said. Agriculture is another key area for discussion during the visit, with Dr Tukuitonga scheduled to meet with Cook Island’s Head of Agriculture, Dr Matairangi Purea. 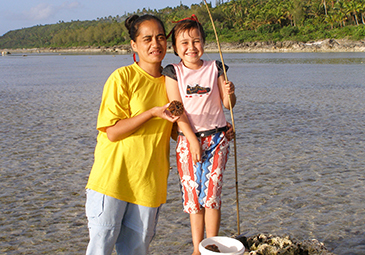 Among recent SPC-supported initiatives in Cook Islands is the establishment of an agriculture Market Information System (AgIntel), the first of its kind in the region. AgIntel is designed to capture vital information for effective agricultural policy development and make them readily available to planners and project developers across government agencies and the private sector. Cook Islands is also collaborating with SPC in trials of Electronic Reporting (ER) for tuna fishing vessels. eTUNALOG (vessel logbook ER software) is used by two domestic longline fishing vessels and by three Cook Island flagged vessels based in Pago Pago.